Update: David Rose of the Daily Mail attempts to deny his own article. See below. Oh my. This is about as good as when deniers claimed that the Arctic sea ice was recovering at the fastest rate in years. When they were referring to the winter growth of ice after the record low ice extent in 2012. Remember DenialDepot? - here and here and particularly here. Did Judith really make such a wild claim? Seriously? It is there in black and white. Not that you can believe anything in the Daily Mail. Then again, you can't take anything that Judith Curry says as credible without checking, either. Anthony Watts works too hard to make sure people know that WUWT peddles pseudo-science crap. He doesn't have to go overboard like he does. Anyone who has heard of denier blogs knows that his is the most favoured utter nutter blog on the internet. He boasts about it. Every now and then he claims to accept the science of the greenhouse effect, but you'd not know it. He often puts up articles disputing the greenhouse effect, and many of his "guests" and probably most of his most ardent fans are stuck in greenhouse effect denial. Today at WUWT there was another "guest essay" by someone called James McCown. James has a bee in his bonnet about atmospheric carbon dioxide. I've written before about an article he wrote. James is a one-man band who has a website about his consulting business in oil and gas, and real estate, among other things. When he's not rejecting science, he spends his spare time (of which I'll bet he has a lot) writing Android apps, which he offers for free. He also tries to sell his services as an "expert witness". Whatever, it's clear that his many self-declared talents do not include climate science or any of the physical sciences. This leads me to believe that if the CO2 concentration is accurately measured by Etheridge et al (1996), then it is more likely the result of a natural process than from industrial sources. Natural processes? Is he saying that burning hydrocarbons doesn't produce CO2? Today he's just as nutty, trying to argue that atmospheric CO2 isn't long-lasting in the atmosphere and isn't well-mixed. That's contrary to every bit of science on the subject for the past goodness knows how many decades. It's not as if this is something that's being debated in science. This is basic, well-founded knowledge that dates back years and years. 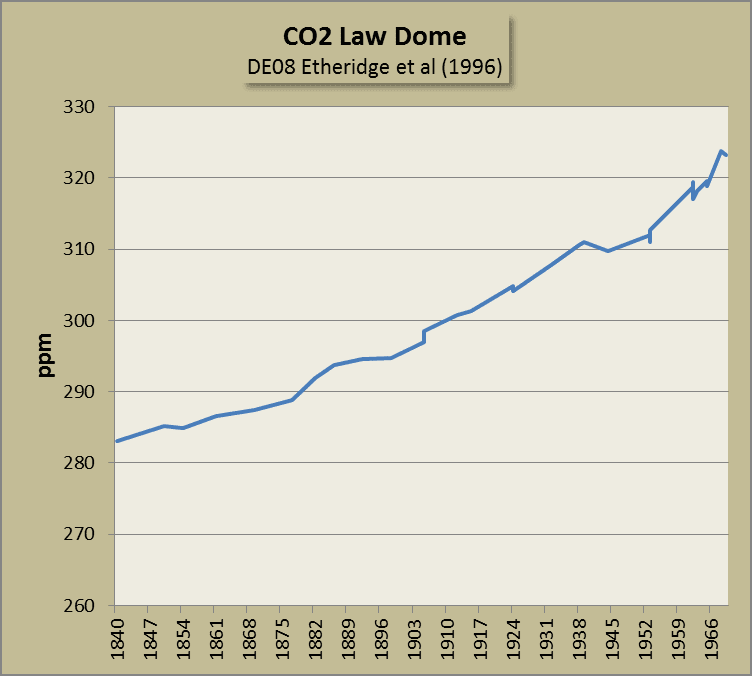 Here is a chart of CO2 as analysed at Law Dome in Antarctica, from Etheridge and co, just for the period from 1840 to 1969. (There are more charts below). You can see that it's risen since 1840, without any sharp fluctuations. James doesn't like it. He even dug up a ridiculous chart from somewhere or other (a chap called Beck in the so-called "journal" Energy & Environment), which claims that atmospheric CO2 in the 1830s was as high as it was in the 1990s. It has all sorts of wild swings and is not just way off base, there is no plausible mechanism by which such swings could be explained. Eli Rabett has the story. Georg Hoffmann at RealClimate wrote about it too. 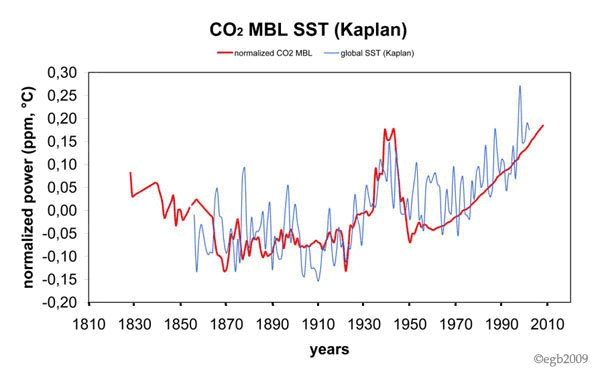 And there are other rebuttals, from CO2 guru, Ralph Keeling and Harro A.J. Meijer if that doesn't satisfy you. 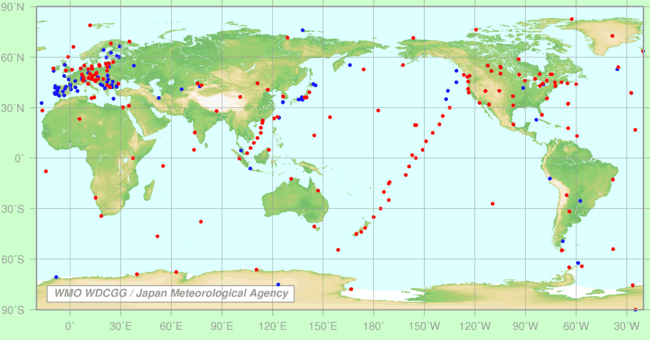 The usual sources of atmospheric CO2 concentration data, beginning with 1958, are flask measurements from the Scripps Institute of Oceanography and the National Oceanic and Atmospheric Administration, from observatories at Mauna Loa, Antarctica, and elsewhere. These have been sampled on a monthly basis, and sometimes more frequently, and thus provide a good level of temporal accuracy for use in comparing annual average CO2 concentrations with annual global average temperatures. Samples aren't just taken once a month. For example, the monitoring at Mauna Loa is continuous, with readings only interrupted by calibrations. You can read about the history Charles (Dave) David Keeling and his CO2 monitoring here. You can read about the current process for monitoring atmospheric CO2 at Mauna Loa here. This CSIRO page describes what happens at Cape Grim in Tasmania. Here is a map showing all the places around the world that contribute to the World Data Centre for Greenhouse Gases (WDCGG). Click to view it larger, or go to the source here. Due to the issues of diffusive mixing and gradual bubble closure, each of these figures give us only an estimate of the average CO2 concentration over a period that may be 15 years or more. If the distribution of the air age is symmetric about these mean air ages, the estimate of 310.5 ppm from the DE08 core for 1938 could include air from as early as 1930 and as late as 1946. Umm, even if it did, looking at the Table 4 in Etheridge et al (1996), the range would be from 305.2 ppm (1929) and 311.4 ppm (1948). And comparing the three cores, the CO2 around that period was found to be 310.5 in 1938 (DE08), 310.5 in 1940 (DE08-2) and 309.2 in 1939 (DSS). Not much between them is there. ...The precision of analysis of the Law Dome ice core air samples was 0.2 ppm. For greater details on the experimental techniques used on the DE08, DE08-2, and DSS ice cores, please refer to Etheridge et al. (1996). It is possible that other CO2 changes of similar magnitude occurred in the past but with such short duration that even the Law Dome ice did not record them. However, it is unlikely that such changes would be recorded in ice cores with still higher accumulation rate than DE08 and DE08-2 (even if sites could be found without significant surface melting), because the diffusion of air through the firn will significantly smooth any variations shorter than about 10 years. The DE08 cores may be at the upper limit of air age resolution for ice cores. But so what? Exactly. I really don't know what James is going on about. He spends most of his article talking about cointegration tests. But I think that's just waffle to try to make his main point, which is to question the relationship between atmospheric CO2 and temperature. In other words, he goes to great lengths to reject the greenhouse effect. The bottom line is that CO2 is a well-mixed greenhouse gas and once it gets into the air stays there for a very long time. Look at the CSIRO chart above and tell me how much it matters whether the estimate for 1938 should be 308 ppm or 312 ppm. What is a concern is that atmospheric CO2 broke through 400 ppm this year. James' silly article had the deniers salivating, particularly the greenhouse effect deniers. Latitude thinks that James got his historic data from someone other than scientists, who he reckons have ignored it, contrary to the information that James himself provided (lots of references to studies that looked at historic CO2 levels from the dim distant past). What a nutter. Solomon Green doesn't know that CO2 is a well-mixed greenhouse gas or that the data is not sparse. I have seen several postings and/or papers discrediting Ernst-Georg Beck but I had not realised that the pre 1958 data was so sparse. If that is the best data available it is very difficult to see that any supposed correlation between CO2 and temperature prior to 1958 can be anything but an act of faith. I would only disagree with one word in James McCowan’s essay. In the sentence “The results from the tests of the pre-1958 data are almost certainly spurious” I think that he has shown that the words “almost” is not necessary. TheLastDemocrat wrote a very long comment that shows he doesn't accept the physics of the greenhouse effect. Which only goes to show he's one of the 8% Dismissives and a member of the scientific illiterati. ...ANY coincident variable that dramatically goes from zero at baseline to its highest values at the end of the time span will have relatively powerful mathematical relation with temp. john robertson is a conspiracy theorist who doesn't know that the world is getting hotter. The Magic Gas Meme is either not falsifiable or it is long dead. As temperature records from 1970 alone destroy it. But then facts never did matter in the Great Cause, ™ Team IPCC. So far all we have is weak speculation, that an increase in atmospheric concentrations of CO2 will cause a warmer planet. Right now, in the incredibly short time we have data for, looks like CO2 = Cooler . But we do not have sufficient data to say any more than; “Could be, couldn’t say for sure”. I believe I can make a better case, that hysterical humans produce garage in the place of science. Here are some temperature records for john robertson, not just from 1970. Etheridge, D. M., L. P. Steele, R. L. Langenfelds, R. J. Francey, J‐M. Barnola, and V. I. Morgan. "Natural and anthropogenic changes in atmospheric CO2 over the last 1000 years from air in Antarctic ice and firn." Journal of Geophysical Research: Atmospheres (1984–2012) 101, no. D2 (1996): 4115-4128. ...Across groups, the non-interactive disjunction is used, assuming that when several scientific theories compete, they cannot be all true at the same time, but at least one will remain. This procedure balances points of view better than averaging: the number of experts holding a view is not essential. Anthony Watts and his fringe followers deny the fact that there is an overwhelming consensus among climate scientists that humans are causing global warming. In fact, since the middle of last century, our actions have probably caused all the global warming observed. Deniers don't just want to deny the fact that we are causing global warming, some of them even want to deny that the world is warming and that an increase in greenhouse gases warm the world and even, in some cases, deny basic chemistry - that burning fossil fuels produces carbon dioxide. Most HotWhopper readers know that deniers who frequent fringe conspiracy blogs like Anthony Watts' WUWT are utter nutters. They'll do and say anything to reject science. It doesn't have to make sense or be consistent. The quotes above are from abstracts that were collated by John Cook and his colleagues in their search of the Web of Science database to see what was in the research papers about climate change and global warming. Anthony has found some wacky PhD candidate from somewhere in Europe the USA, who's supposedly studying psychology, and who is an ideological denier of climate science (archived here). José Duarte is an extremist right wing ideologue. Not just a libertarian but a nutty libertarian. He quotes a bunch of papers, including the above, and cries "fraud", "retraction" (archived here). I've listed below the papers José complains about, together with the category they were put in and the level of endorsement. The link goes to the paper in each case. The details are from the page on SkepticalScience.com that has the abstracts and other details about the papers. Remember, the researchers were only categorising the abstracts of the paper and did not see the title, the authors, the journal name or the full paper. [Fixed: I'm told by a very reliable source that the researchers did see the title. Sou 31 Aug 14] Therefore, before you decide whether you'd agree with the category or the endorsement level, read the abstract in isolation of everything else. I've added a link to the paper after the title in each case. José's depth of research - 10 minutes! I can believe he's "not willing to spend a lot of time with their data". He'd find he couldn't dispute their findings and that wouldn't do. Not at all. If he worked at the rate of 8 abstracts in ten minutes, Jose could rate all 11,944 abstracts in about six weeks, working eight hours a day, five days a week. He'd rather not. That's a strong and wrong allegation. All you need to do is go to the SkepticalScience search facility and you'll find that two of the papers that Jose included in his list were clearly categorised as "not climate related" - here and here. Therefore they weren't included in the 97%. 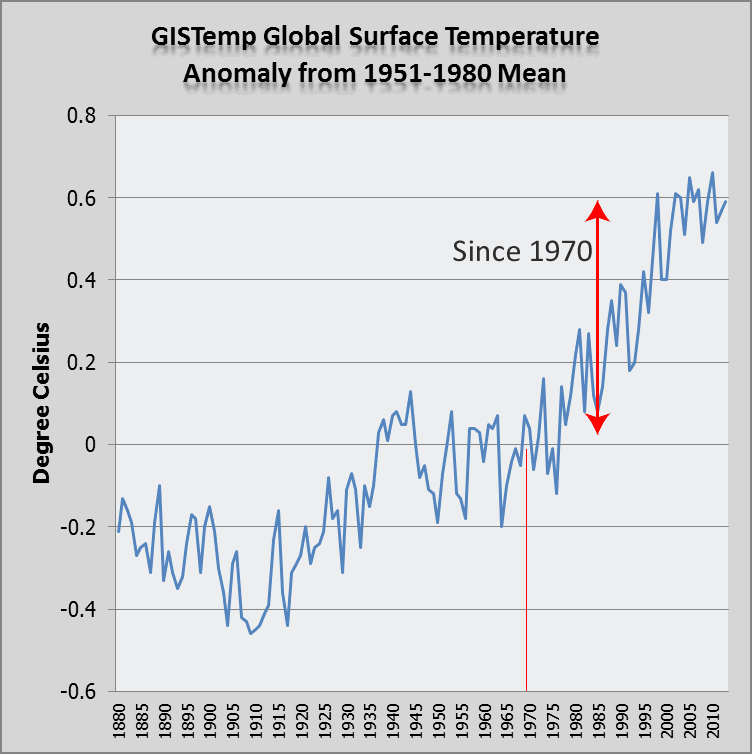 Deniers cannot disprove the findings, and won't even try! And do deniers really and truly doubt that almost all the science points to the fact that humans are causing global warming? Why don't they provide evidence that a quarter, a third, half the scientific papers dispute this? Why can't they prove that even 10% of scientific papers dispute this. Why don't they do their own research? Because they know they'll find that at least 97% of scientific papers that attribute a cause of modern warming, show it to be human activity. Finally, a psychologist with intelligence, analytical skills, and integrity. Most of us do pointless crap (I have a PhD in psychology, university lecturer in a small useless provincial university for over 20 years, the sort of place that turns out a constant stream of political ‘scientists’ and sociologists who then go off to trash the world). I always say: social psychology is trivial answers to interesting questions, cognitive psychology is interesting answers to trivial questions. Its people like this who can buck that trend. August 29, 2014 at 4:20 pmThis is splendidly written, brilliant, passionate, dripping with common sense and integrity….and extremely persuasive. Any remaining supporters of the nutters who authored this “paper,” should bow their heads in shame. Just so I’m clear, but apart from Cook’s and the Doran/Zimmerman surveys, are there any other studies that conclude the 97% result? I’m sick to death of this nonsense being pushed down my throat as though it was supposed to be proof of CAGW. I’m sure you have all seen the ”97% of engineers and the dodgy bridge” analogy. I ask those promoting this rubbish, from which survey are they referring to? Most haven’t got a clue of it’s source let alone the controversial background. This is a very damning rebuttal of the Cook fraud. Thanks to Jose for this. Hopefully criminal charges will soon follow. I won’t hold my Co2 laden breath. Not to forget the extensive but unpublished research of James Lawrence Powell. I did bring up the bias in “97 percent of all scientist say AGW is the most important problem facing humanity” to a High School science teacher. His defense was “that’s impossible. Everyone knows its true and it’s been repeated everywhere.” His implicit position was that only fringe groups dispute such basic scientific thinking. That is, he had nothing but personal attacks to use in its defense. When they retract the paper will Obama retract his citation of the paper? fobdangerclose has no sense of proportion. He thinks that someone who says he has spent only ten minutes looking at the data and who is "not willing to spend a lot of time with their data", "makes too much sense". And that an extensive study over several months, examining almost 12,000 published abstracts can therefore be dismissed. Even though it's supported by other studies - and by anyone who's read any climate science. Confirmation bias in action. Well you make too much sense and use too many facts to back up your point. That is just unacceptable to the CO2 cult. And deniers wonder why they are ridiculed. Behind the times (in Greenland) at WUWT. The year is not 1855, it's 2014! 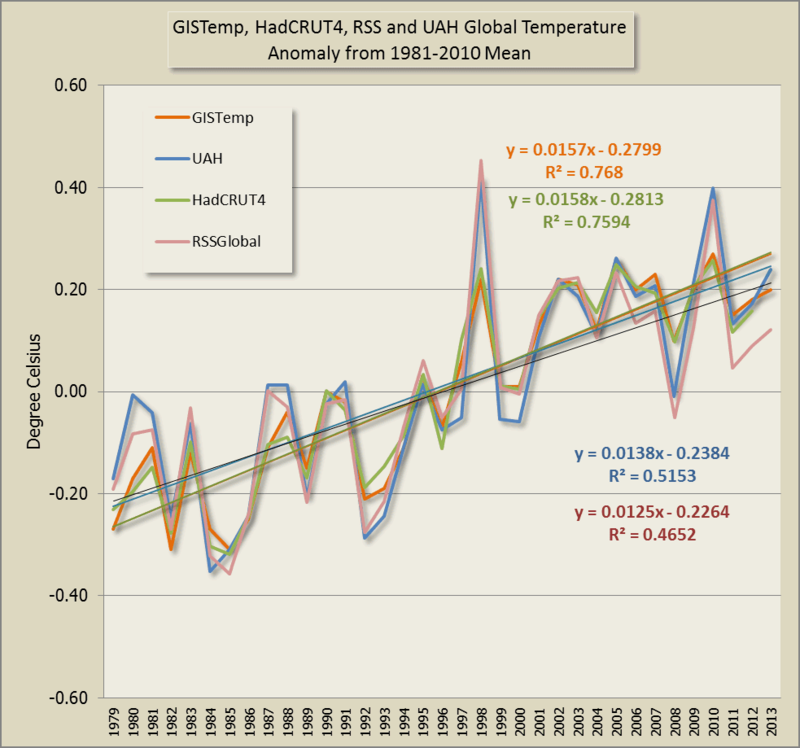 Anthony Watts has put up another shonky chart of GISP2 temperatures (archived here). No-one's complained so far, but he's got the current temperature in central Greenland as being about as cold as the Little Ice Age or colder. Here is GISP2 from the Richard Alley data (Cuffey and Clow). These data go from 95 years BP to almost 50,000 years ago. I've only included the past 20,000 years or so. 95 years before present is 95 years before 1950, which is 1855. I've put in the average temperature at the summit for the decade 2001-2010, which was 29.9°C, as indicated in Kobashi et al (2011), which I discuss a bit further down. Data source: Alley, R.B.. 2004. 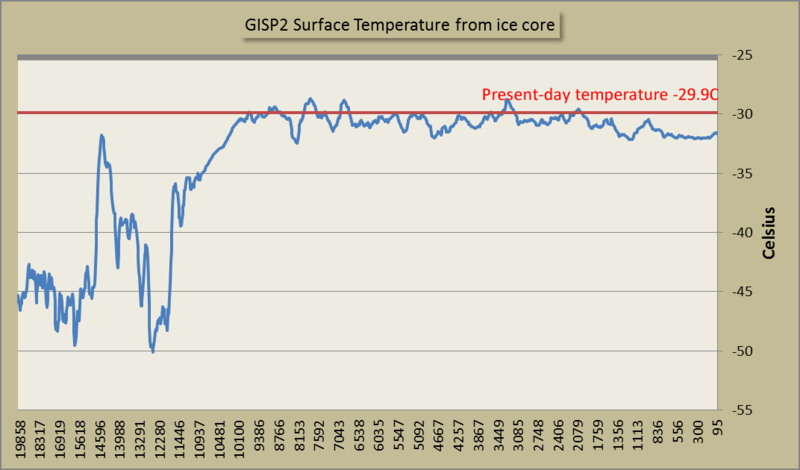 GISP2 Ice Core Temperature and Accumulation Data. IGBP PAGES/World Data Center for Paleoclimatology Data Contribution Series #2004-013. NOAA/NGDC Paleoclimatology Program, Boulder CO, USA. 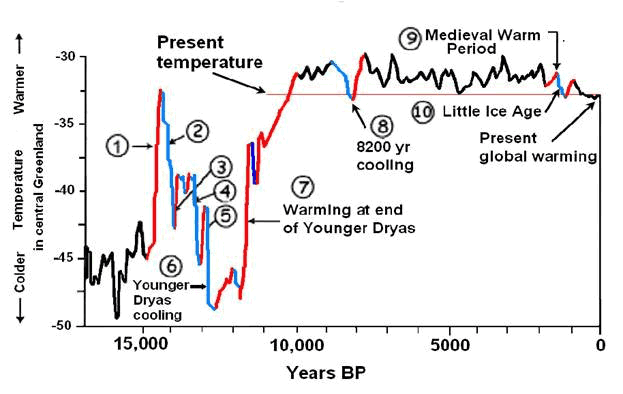 See how Anthony Watts reckons that it's as cold as the coldest period in the Little Ice Age? He's put the "present temperature" and "present global warming" the same as the temperature back in 1855. He's been told about this over and over and over again. But he won't take any notice. At WUWT it's whatever you can get away with to reject science. 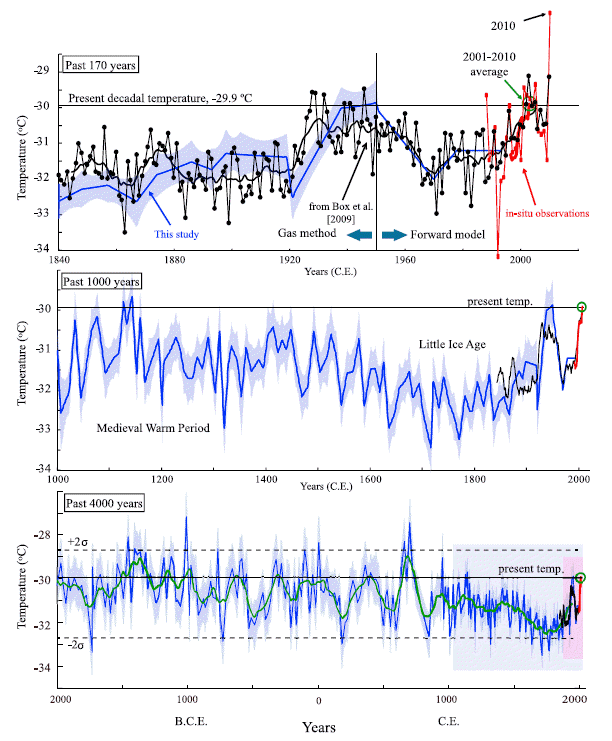 Here are charts from the 2011 paper by Takuro Kobashi and colleagues, showing surface temperatures in Greenland over the past 4,000 years. Anthony's shonky chart was to illustrate a press release about a new paper in the Journal of Geology, which is about the distribution of nanodiamonds, which the authors say support the hypothesis that the Younger Dryas cooling was caused by a cosmic collision, perhaps a comet, crashing here on Earth. You can read the press release here. If you've a subscription, you can read the paper here. Neither the press release nor the paper makes the strong claim of Anthony's headline, which was: "Younger Dryas climate event solved via nanodiamonds – it was a planetary impact event". The press release and the paper talk about the evidence being consistent with the cooling 12,800 years ago being caused by a cosmic impact, and inconsistent with it being caused by "natural terrestrial processes". I'm not making any comment on the paper. Feel free to talk about it if you want to. I was mainly writing this article to talk about the mislabelled chart that keeps resurfacing at WUWT in one guise or other. What’s the source of the Greenland temp graph in this article? Showing current temperatures almost as low as LIA :? gary gulrud would like to see other evidence of a cosmic impact. That's not an unreasonable request. Not an expert but 13,000 years is like geologic yesterday. Point me to the crater, please? There were various other comments and speculation. The deniers are playing sceptic (for a change). Today Anthony Watts, the anti-science blogger at WUWT, is living up to the reputation that Wondering Willis Eschenbach expressed so clearly. That of Simple Simon. I noticed yesterday how he was enamored by a vacuous comment from one of his readers. It was another light bulb moment, showing just how shallow is Anthony Watts. Here's the original exchange, which appeared below a dumb article of the "I don't believe it" type. You know when I was a boy I would build models, I wasn’t very good at building models, but I built them anyway so I could play with them afterwards. I would pretend that the models were real ships or planes, but I alway knew they weren’t even close to real ships or planes. For some reason these people can’t seem to tell the difference between a climate model and the real climate. Congratulations Tom on a great comment. Anthony has now elevated Tom Trevor's comment to a Quote of the Week (archived here). Seriously! Anthony also put up that shonky chart of Roy Spencer and John Christy, which I've written about here and here. If you want to read about climate models, one of the best articles is the article by Scott K. Johnson at Ars Technica. August 28, 2014 at 3:04 pmWe have become so innured to the weasel words of climate science that we almost don’t read them any more. And when the MSM gets a hold of these speculations, add another layer of biased obfuscation. It reminds me of what goes on with 5th grade young girls. You make your graph look like all the others or your not in the click. I think you’re right on. That is HARD science right there. Unfortunately the warmunists and their believers will soon find they’ve been STIFFED. The only thing going UP are their expectations, which will soon go limp as their house of cards is ERECTED on sand. Their expected CLIMAX is definitely PREMATURE. FLACCID: Failed Long-term Anthropogenic Climate Change Identification Disorder. I am so EXCITED to be here! You have no idea! You guys are friggin geniuses!! Hate to spoil a bit of the fun here, since agree with the general sentiment. But Dr. Spencer’s comparison is to RCP 8.5, which has elsewhere on this blog ( and elsewhere) been established to be literallyimpossible. The better comparison is to RCP 6.0 (the old SRES A2 is closer to 6.0 than to 4.5). Of course, the change from AR4 was made to obscure the many provably false assumptions in the explicit SRES, covered up by yet more IPCC blathering. There is no need to resort to hyperbole to stop CAGW. The wheels are coming off all by themselves. Best that the high road is taken. Engineers build and test models and (mostly) get it right. That is their job, the models can fail but, lessons are learned, the models modified until the desired outcome is achieved. Think of aircraft,vehicles, buildings, bridges. The big difference in climate models is that Co2 is assumed to be major driver, producing the present divergence from reality, and I cannot see that changing in the future. There is no connection between quiet,behind the scenes,engineering model generation where accuracy is literally life and death,and these noisy,politically motived grant seekers masquerading as scientists. So, am I ‘making things up’? Seems to me that I am applying straightforward logic. To find the answer (in case you can't guess), go visit realclimate.org. In case you missed it, Judith Curry wrote a very silly article the other day about the rise in global temperatures and the meaning of various attribution statements in the IPCC reports. No dumber than normal, but this time her article was skewered very neatly by Gavin Schmidt, Director of NASA's Goddard Institute for Space Studies. In case you missed it, here is a link to Gavin's article at realclimate.org. And here is a link to an archive of Judith's bit of silliness. I wonder if she is embarrassed yet. Probably not. Judith Curry seems to have given up on science and faded into the deniosphere. I'm not sure whether to describe this as sick or crazy or weird. Anthony Watts is touting a book written by three science deniers (archived here). They make an unlikely trio, united mainly by their desire to destroy the environment. Arthur Middleton Hughes is described as an economist, but I'm not sure if that's still the case. If it's the same chap then these days he's more of a marketer, and vice-president of some email marketing business. Madhav Khandekar is apparently some retired Canadian meteorologist who is, or was, on the Heartland Institute payroll. Cliff Ollier is listed as an honorary research fellow at the University of WA, meaning he used to be employed there but now he's probably no longer on the payroll. Cliff is a second-rate climate science denier from way back. He's not a climate scientist. He featured in one of the early articles here at HotWhopper. The sick is that this trio apparently want to world to burn up. The book has the title: "About Face! Why the World Needs More Carbon Dioxide". It's promoted on Amazon as being published by a crowd that calls itself Two Harbours Press, which from the website looks to be a vanity publisher. It says it's owned by Hillcrest Media Group, which has a printing division and on that website it states that: "The year 2014 brings Hillcrest to Europe, setting us apart as one of the first US self-publishing companies to launch a UK division. ", so I'd say I was right about that. The blurb has lots of commendations from people that few would ever have heard of. You can Google some of them and you get a miscellany of odd bods, who mostly seem to be retired academics who have taken up science denial as a hobby in their old age. About Face! is the product of two scientists and an economist. The scientists are Madhav Khandekar in Canada and Cliff Ollier in Australia, plus economist Arthur Middleton Hughes in the USA. Carbon Dioxide (CO2) is essential to all life on earth. It is plant food. We believe that the more CO2 there is in the atmosphere the bigger and better plants will grow all over the world. Three million people die each year because the prices of food are too high for them. We want to increase CO2 in the atmosphere and reduce world malnutrition. The crazy and the weird - sequestering CO2, Arthur wants less ... or more? The crazy and weird is that the top-listed author, Arthur Middleton Hughes has a blog article at Harvard Business Review on which he has this idea for sequestering CO2. That's got to be good, eh? But wait a minute, hasn't he just published a book where the title says "why the world needs more carbon dioxide". Remember how the book's blurb is about how they want to "increase CO2 in the atmosphere"? Why then is he coming up with ideas to reduce carbon dioxide? The world is increasingly concerned with the need to solve our carbon dioxide problem. There are three basic solution paths. We can reduce the use of fossil fuels, mainly by passing laws to restrict or discourage it. We can spend billions in public funds after the fact to capture and store the CO2 that is generated. Or we can plant trees in Australia. Destroy the entire dryland regions of Australia, those regions which could be classed as desert - including all the native flora and fauna on that land, and presumably all the land owned by indigenous and other Australians who live on and/or lease that land. In other words, he wants to destroy most of the Australian mainland. Build enough desalination plants in Western Australia to pipe the water thousands of miles across Australia so that exotic trees can be planted. I bet the right wing extremists would love that last point in particular, not. Nor would they be enamoured by the first two points. Arthur Middleton Hughes doesn't know if he's Arthur or Martha. One minute he's coming up with a crazy plan to sequester CO2 by destroying most of Australia's natural heritage. Next minute he's arguing that the world needs to increase atmospheric CO2 because CO2 is plant food. Could there be two Arthur Middleton Hughes? Does one have an evil twin and the other a stark raving mad twin? I looked further and found the answer is on his Linked-In profile. Right on top of each other on the same page, he has his proposal to get CO2 out of the atmosphere sitting right on top of his urging that we put as much CO2 into the atmosphere as possible. What a doozy. Talk about denier for hire. There aren't many comments yet. And even in those few there isn't universal acclamation. “The book also explains how, as an inhabitant of the Solar System, Earth’s climate is influenced mainly by our Sun, and that should come as no surprise. But are changes to earth’s climate influenced mainly by our Sun? Are we so desperate to get rid of dodgy science that we’ll clasp to our breasts any other dodgy science that comes along? johnmarshall is one of WUWT's regular greenhouse effect deniers, who reckons the sun is causing global warming even though there's a bit less energy coming from the sun these days. In other words, it's magic. If you can think of another source of energy like the sun, but unseen, then carry o n your belief but if the sun is the only major input then it is the major influence. Has SasjaL read the book already or is he or she judging by its cover? Once again we are drawn into the "making up stuff for the sake of a bad yarn" territory at WUWT (archived here) . Anthony Watts has written about articles by science denier and "environment" writer for the Australian, Graham Lloyd and one of Australia's resident deniers, Jennifer Marohasy. They are raising a big kerfuffle about the record of temperature trends from the agricultural research centre at DEPI Rutherglen. I'd normally leave it up to Nick Stokes of Moyhu to analyse denialist claims like this, but he hasn't done so yet. So I'll give it a shot myself. My family has lived in the region since the 1950s. I worked for the Victorian Department of Agriculture in the early 1980s, was on the agriculture faculty at Melbourne Uni in the 1990s, headed the Victorian branch of the ag science professional body for a while, and have since done work with the Victorian primary industries department (including its research arm) so the research centre at Rutherglen is not unfamiliar territory, although I've never worked on site there. Now what the deniers are complaining about this time isn't the mean temperature, nor the maximum daily. Nor is it the climatology of Australia or Victoria or even of the region. 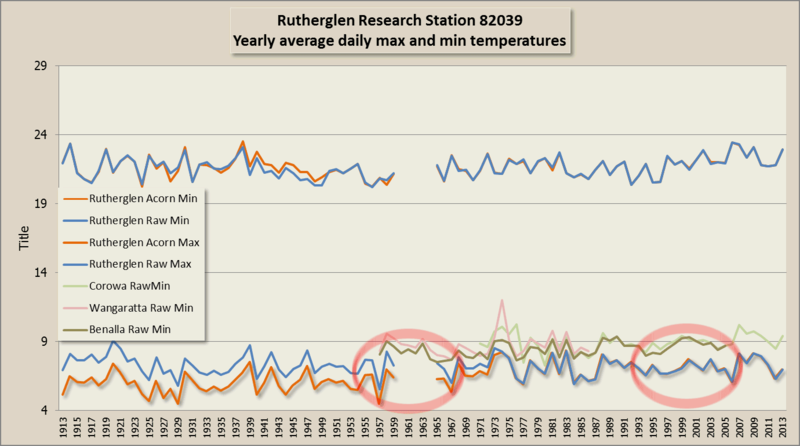 What they are talking about is the minimum temperature and in particular, the minimum temperatures up to around the mid-1960s early 1970s recorded at Rutherglen. That's more than forty years ago. A single weather station. The ultimate cherry pick. I couldn't find another weather station close by that has records going back to the turn of the century, so Rutherglen is about it as far as I can tell. Here is a chart of raw average annual temperatures (from daily). I've included the raw records from Corowa, which is not far away on the Murray as well as Benalla and Wangaratta. Click to view larger. As you can see from the above, the raw records are shown as lower than the ACORN-SAT (adjusted/corrected) records for the period prior to the gap between 1959 and 1965. I'm not in a position to say why that is the case. I will say that the proper explanation is not nefarious intent. You can leave the conspiracy ideation to deniers who congregate at WUWT. There are any number of plausible explanations for why an algorithm would have detected a break in the record and made an adjustment, some of which I've described below. One thing you'll notice is where Benalla overlaps with Rutherglen in the earliest records for Benalla, the difference in raw minimum temperature is much less than later on (I've highlighted the two bits to look at). This suggests that BoM was not in error in regard to Rutherglen. Anthony Watts' blog is where science deniers congregate so they don't feel so alone in the world. Usually they are simply rejecting climate science, the greenhouse effect, rising global surface temperatures and anything else that takes their fancy that's to do with climate. They don't normally get into rejecting biology or not openly at least. They will from time to time reject chemistry, usually in relation to ocean acidification. Today I see that a guest essayist has decided to reject gravity and probably momentum. He was writing about a paper in Science from last week, which got denier blogs all a twitter. The paper is probably raising some eyebrows among scientists too. It's an interesting take on where the heat is going. The Atlantic Ocean may be storing vast amounts of heat (red), keeping global surface temperatures from rising. The illustration shows heat plunging into the depths as far as 1,500 metres. The oceans don’t work like that. Most of the heat energy of sunlight is absorbed in the first few centimetres of the ocean’s surface. Waves mix the water near the surface layer such that the temperature may be relatively uniform in the top 100 metres. Below that there is almost no mixing and no vertical movement of water. Some of what he wrote was okay, sort of. Some of it was very wrong. In particular, he he is rejecting thermohaline circulation, arguing there is no vertical movement of water in the ocean. He's wrong of course. Thermohaline circulation is the convection in the ocean driven by pressure gradients and gravity. Saltier water is denser than fresh water. Cold water is denser than warm water. Colder saltier water sinks in the ocean. This process doesn't stop and start, or not easily and not often. There's a lot of momentum behind the conveyor belt. There's a huge amount of water going through this cycle. Just because some of it is a bit warmer at times doesn't mean the water stops moving. A smidgen of snow on a mountain and we're heading for an ice age? What utter nutters! Science deniers who congregate at blogs like WUWT are really, really odd creatures. I wonder what proportion of them also follow non-climate conspiracy theory blogs. Today I found on Anthony Watts reformatted blog, another article about ice (archived here). It's about a science trip on the highest mountain in the British Isles, Ben Nevis, probably the most famous mountain in Scotland. The team reported new finds of fauna as well as spots of "compacted, dense, ice hard snow call neve" on the the mountain's North Face, which I guess is the cold side of the mountain (seeing it's in the northern hemisphere). This is how ice ages start – a buildup of snow which does not melt in the Summer, which leads to a positive feedback loop, as the growing ice sheet reflects more and more sunlight back into space. Well, no. Not exactly. How an ice age starts is Earth starts to lose more heat than it gains from the sun. A build up of snow and ice happens because it's colder. It's not colder because of the build up of snow and ice. One could argue that it's a chicken and egg thing but it's not. Not usually. Once the snow and ice builds up then that hastens the cooling, because the snow and ice surfaces tend to reflect more radiation back into space. What causes the snow and ice to build up is the earth getting colder. Most of the time. 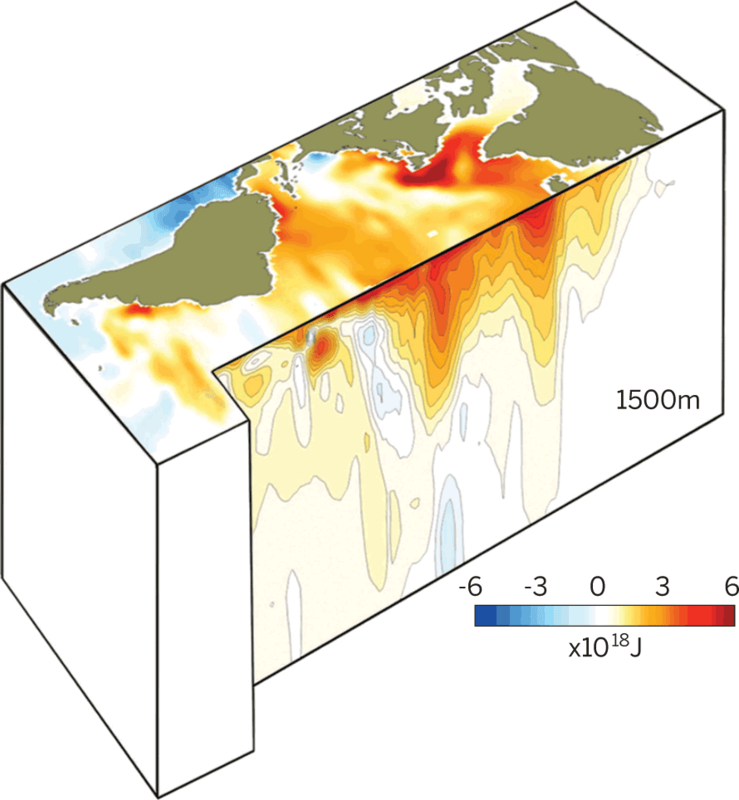 Sometimes it could be changes in ocean currents for one reason or other. The system is complicated. So far, many new populations of rare fauna [sic] such as highland saxifrage, tufted saxifrage and wavy meadow grass have been recorded. Lead survey botanist, Ian Strachan, said: "Many of the rare arctic-alpine species we are searching for are relics from soon after the last ice age. "Ben Nevis and a few other peaks in the Scottish Highlands provide the most southerly refuge for some of these species which can only survive due to the altitude and presence of semi-permanent snow fields." Cathy Mayne, of SNH, said work so far had exceeded the project team's expectations. She said: "Not only have we gathered potentially ground-breaking geological data and significantly added to the known populations of arctic-alpine species, the team have also discovered alpine saxifrage, which has never been found on the mountain before." You can read the article here on the BBC website. WUWT-ers must be bored. There were 132 comments, almost none of them having any value whatsoever. Many deniers are falling for the line that just because compacted snow is on cold Ben Nevis, it means an ice age cometh. I guess that doesn’t fit in terribly well with the narrative, does it……Another re-write needed. I am surprised that the BBC reported this sign of global cooling. Out of character. I wonder how old these climbers and scientists were! I used to go rock climbing in Scotland quite a lot back in the 70s and 80s. It was nothing unusual to see patches of old hard snow that had survived the summer in North facing corries and gullies On one occasion, as late as August 1990, it was quite difficult to get to the start of my chosen climb on Ben Nevis because of a small bergschrund! Looks like the 1974 CIA report may be on right track. How the Eugenicist 1%s who have birthed, marketed & profited from this deadly scam must be laughing. They’ve been selling the World global warming caused by deadly plant food, while a very possible New Little Ice Age approaches. Holdren & Ehrlich will also be pleased. Denier Smorgasbord: Old men want freedom to vacuum madly, the Arctic and Judith Curry's "interesting"
There are two reasons why you've not seen the usual number of articles here the last few days. The first is I've been busy on other things, unrelated to climate science and its denial. The second is that deniers have been deadly dull. They've been recycling the same old tired and wrong denier memes for the most part. Nevertheless, there's always some entertainment to be had at denier blogs, even when the pickings are thin. Making criminals of "average" people who clean their home? "One more reason to dump the EU- they are going to make criminals out of average people who just want to keep their home clean. – Anthony". He probably meant "who just want their women to clean up after them". And of course, he's wrong. People can continue to use their old vacuum cleaners. Even men can do so. Even conservative ageing men who deny climate science can do the vacuuming any time. It's just that in future, if they want to buy a new vacuum cleaner, their purchasing choice will be restricted to more energy efficient units. with no actual numbers, no actual method, no actual uncertainty calculations, I fail to see how your conclusion MUST BE drawn. In general we have a collection of text that is long on adjectives and short on quantitative analysis. Further since we have apples and oranges to compare its hard to say anything MUST be drawn. Judith Curry finds John McLean "interesting"
Judith continues to wallow in the depths of denialism, finding an article by Australia's John McLean "interesting". John's the computer operater / climate science denier who somehow managed to get a paper published, in which he removed the temperature trend from global surface temperatures and then looked at what remained and declared there was no trend. To much hilarity from all whose knowledge of statistics was at least sufficient for them to calculate an average of two numbers. John also declared, in 2011, that "It is likely that 2011 will be the coolest year since 1956". Guess how that turned out! John is a denier of the utter nutter kind and so is Judith Curry, for giving him the slightest bit of credibility. It appears the ecocrats of the EU have confused power with energy. If it takes you twice as long to clean while using half the power then you have used the same amount of energy. Have they factored in the CO2 generated by the increased effort required by the vacuumer in any of their saving the planet calculations? In a totalitarian state, the measure of your power is how much misery you can cause. Anyone can be nice – but spreading pain and misery proves to your colleagues that you are powerful. I don't know which bits Nick found informative. I can’t possibly read all this while drunk. Maybe tomorrow afternoon. More likely Monday evening. Dunno why u spread this Noaa/Giss stuff ? Check raw data n do it again. ” as seen in the graph” is not ok..n really Wuwt must know by now ? Sorry for the paucity of articles the last few days. I'll hope to do better this coming week. BTW, feel free to point out how sexist I was, poking fun at all the old conservative men getting upset about vacuum cleaners. I think I was being ageist rather than sexist. And there's good grounds for the stereotyping, don't you think? "While this year is not heading toward a record low minimum extent in the Arctic, sea ice is well below normal and continues an overall pattern of decreasing sea ice during summer in the Arctic,” said sea ice scientist Walt Meier, based at NASA’s Goddard Space Flight Center in Greenbelt, Maryland. While I'm here, might as well add a couple of live linked charts (click for larger view, or the links below) and a link to Neven's Arctic Sea Ice blog. Unsurprisingly there's no recovery, but no record this year either, from the look of things. Joe Duggan has a blog on which he's posted letters from Australian climate scientists, expressing how they feel about climate change. There are a lot of them and they are heart wrenching and frightening. They remind me of the seminar I attended earlier this year, which caused my stomach to knot up with dread for the future. At the seminar, none of the scientists spoke about their feelings. They didn't have to. The science spoke for itself. At the time I could only wonder how they had the stamina to continue to work in their field, knowing what they know. In these letters we get a glimpse of what must at times be personal torment. These are from people who understand more than anyone else what we and our children and their children are going to have to try to cope with. Take a few minutes and go and read the letters at Joe's blog. If you are a climate scientist or do research in a related field, then you won't need to read what your fellow scientists are dealing with. I've worked a lot with scientists. As a general rule, scientists don't wear their heart on their sleeve. They tend to be analytical rather than emotional. These letters were in response to a specific request. They are a rare opportunity for human insight rather than just plain science, from people who understand, more than the rest of us, what the future may bring. 2. I feel like I want to hurl. Poor little Anthony Watts is having a hard time coming up with interesting things to write about. Maybe it's just the fact that I've been very busy lately, but WUWT is looking very tired and uninteresting to my way of thinking. Today Anthony does what all good deniers do - he moans about science. How dare scientists report what has happened! This time he's up in arms about the fact that scientists have looked very closely at what has happened to global surface temperatures over the past few years, compared it with climate models and found that there is not a lot of difference in the end. The reason is that natural variability, mainly ENSO, has kept the heat in the oceans and hasn't released big chunks for a few years. Climate models aren't designed to mimic every little interannual variation in synch with the weather. Their projections are for longer term trends. As well as that the observations haven't been keeping up with the rapid warming in the Arctic. Add in aerosols and the slightly dimmer sun and what do you get? The models are pretty good. Anthony is furious that scientists would report this sort of thing. What he's complaining about is a new letter in Nature Geoscience, by Markus Huber & Reto Knutti who did a review of recent work on global surface temperatures. They looked at some of the work done a little while back, where models outputs were reviewed to take account of actual observations (or estimates) of aerosols, volcanoes, solar radiation and ENSO. They also looked at the work of Kevin Cowtan and Robert Way in regard to Arctic temperature trends. They put it all together and came up with what many other scientists have figured - that the models aren't that different to observations once you take all these factors into account. This quote from ETH Zurich is actually from another just published post, but it is so grating, so anti-science, that it deserves its very own thread to highlight it. If the model data is corrected downwards, as suggested by the ETH researchers, and the measurement data is corrected upwards, as suggested by the British and Canadian researchers, then the model and actual observations are very similar. If we take all our economic projections for performance as suggested by our financial models, and correct it downwards, and at the same time, if we take all of our revenues and expenditures that are in the red, and adjust them upwards, out company will be on track and our investors will be satisfied. Except, people go to jail for that sort of thing. You can tell that Anthony's never looked at a balance sheet and that he hasn't a clue about any of economics, finance and accounting. What does he get wrong? First of all, he's got economics mixed up with finance mixed up with accounting. And you don't have "revenues and expenditures in the red". You're "in the red" if you're bank balance is negative (you've got an overdraft) or your current liabilities exceed your current assets. And one doesn't make economic projections from financial models. You can make financial projections from financial models. But it's worse than that. Anthony's got it all back to front. If companies don't issue updates to the stock exchange when their circumstances change, well that's when directors can go to gaol. If they try to hide the fact that things went awry in their financial projections and they are suddenly blessed with a much bigger profit or have suffered a huge loss, then they will get into strife. Thing is, anyone who is monitoring what is expected against what has happened is doing the responsible thing by reporting it. If a financial projection is based on an expectation of high sales because of a upturn in the economy, and then there's a financial crisis - then the projection needs to be revised. If you want to read about the paper that so muddled Anthony's already muddled brain, you can read it at Nature Geoscience if you've got a subs or otherwise have access. Or you can read the press release at Eidgenössische Technische Hochschule Zürich. As expected there are gasps and shrieks of indignation that anyone would examine what has actually happened in the world over the past few years. What cheek those scientists have. How dare they look at the data. That goes against everything that deniers hold sacred. The “downward correction” is to account for the predominance of La Nina over recent years. The “upward correction” is to account for bias due to lack of arctic temperature stations. So basically, if we make sh*t up to match what we think is the “right answer”, then we can finally demonstrate that our answer is right! Not if they are Chairing a Central Bank they don’t. Nor if they go by the name of Matt Ridley and chair a bank called Northern Rock. The “downward correction” is to account for the predominance of La Nina over recent years. The “upward correction” is to account for bias due to lack of arctic temperature stations. Unreasonable? John, John, John… We can’t adjust the models. They are based on sacrosanct laws of physics. To adjust them would be to “deny the science”. Surely you don’t want to be called a denier. As for the temperature data, it has been adjusted enought already (way more than enough actually). So here’s what we do: Throw out the adjusted temperature data and use the satellite temperature data instead. Compare that to the unadjusted model outputs and see what you get. Report back to us to let us know how that works out. Louis, I'll go one better. Rather than throw away good data, let's compare four temperature data sets, including two satellite measures of the lower troposphere and two surface data. They are remarkable only for their similarity. All the rest of the comments are much the same. Deniers don't want to see scientists reporting what has actually happened. They can't bear to lose one of their favourite faked memes that "all the models are wrong". They are all in a tizz because the models are most likely pretty right after all.